We took December off from the wrap up, as general food news was a little thin on the ground over the holiday period. As such this wrap up covers both December 2018 and January 2019. First up, all the winners from the last couple of DABC meetings. Competition was fierce over the last two months with applicants outstripping supply for bar licenses. Despite previous concerns over ownership issues surrounding The Black Sheep Bar & Grill (replacing Foothill’s McCool’s) the business secured their bar license via purchase of the old Scallywags license; the former business closing after a storied history. 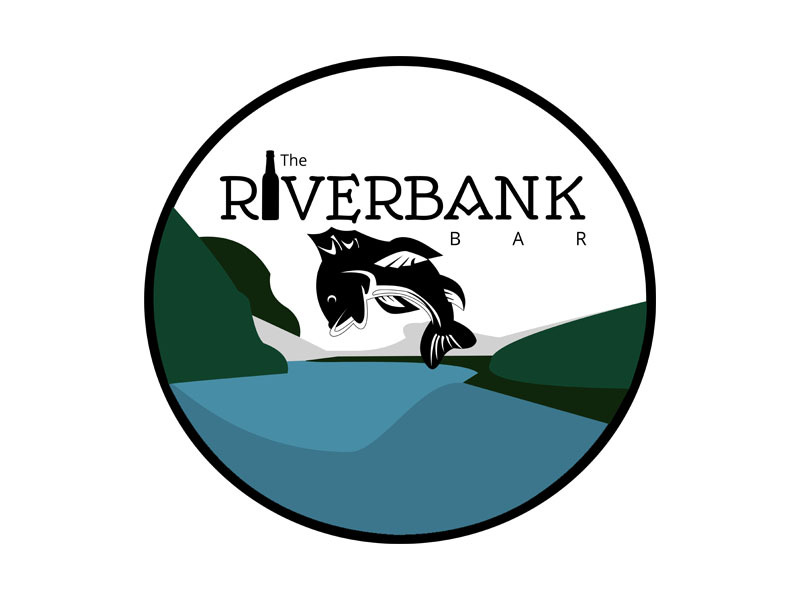 Riverbank Bar in Millcreek (opposite the Brickyard Harmons) secured a conditional license at the December meeting. After waiting for more than 6 months the new project from the folks behind Campfire Lounge is now ready to rock; this means you can grab a drink here before heading over the road to do your shopping. Seabird Bar over in Draper also secured a conditional license at the same meeting; this business is the craft cocktail concept from Jameel Gaskins (also Bar George/George) and josh Rosenthal (La Barba). The duo pointed to only three other meaningful bars in the Draper area. 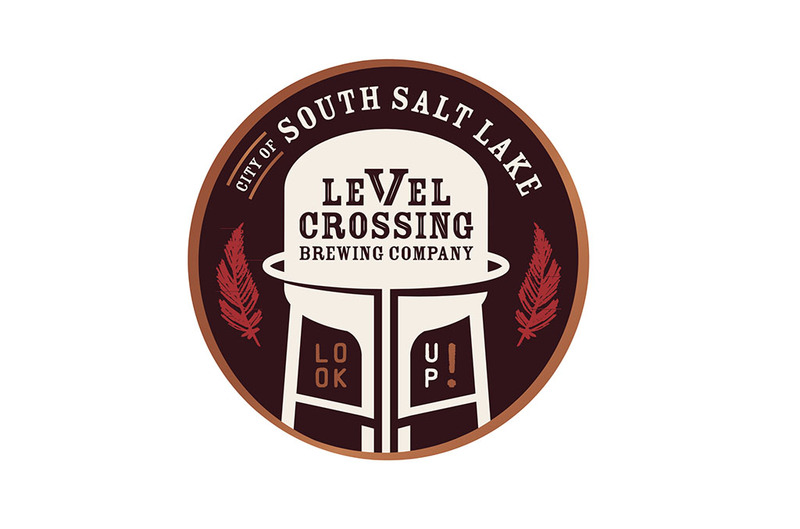 At the January meeting, South Salt Lake’s Level Crossing Brewing Company secured a conditional license. The new brewery with tap room is set to open under the city’s landmark water tower; lovingly captured in the companies cool new logo. Officials from the city turned out in force during the December meeting to push for the approval of this license, moving chairman Nielsen to commend the applicant’s superior presentation. This new facility is expected to anchor the redevelopment of the ostensible (new) downtown of South Salt Lake (around 21st and Winco etc). Lastly, Gig’s Tavern out of Ogden also secured a bar license. By my math this leaves one license available to carry over to the February meeting. Mannebach Cellars of Tooele. secured both a manufacturing license and type 5 pacgaeeganeycy license for their new winery. Street Tacos secured a conditional beer only license. Abe Kader pointed out that despite the name, this is not a food cart but located in the old Wendys on 4th South near Pioneer park. Lastly, the Dutch John / Flaming George area will also now be getting a new package agency too. 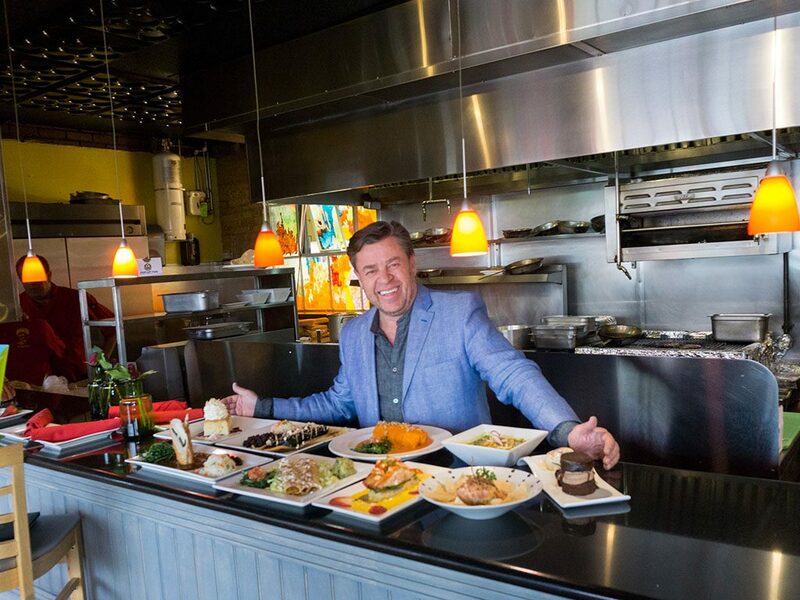 The Eklektik announced their closure via Facebook after two years in business, while one of Utah’s oldest restaurants, The Oaks, also recently confirmed their closure too. 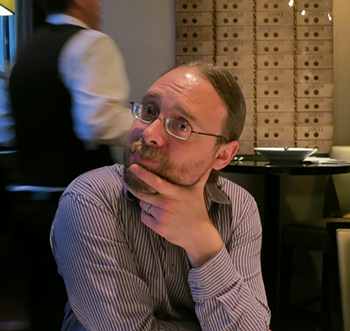 A mention for Namaste India as well, closed by way of demolition of the restaurant’s property. I believe the spot was also Spice Bistro before Namaste. We regret to inform you that we are issuing a voluntary recall of select varieties of 12oz. cans and bottles due to the presence of a foreign yeast that could cause a package integrity issue over time and under certain storage conditions. The recall comes after extensive testing by the brewery and external third-party analysis confirmed the presence of the strain of yeast that could cause refermentation in the bottle or can, building up pressure that could cause the packaging to fail. Click here for a full list of brands and packages affected by the recall. Since its discovery, we have taken immediate and comprehensive steps to remove any trace of the foreign yeast from any further cross-contamination with its house yeast strains. The original source of the foreign yeast is still under investigation, though it is a naturally occurring strain that is occasionally used for brewing specific styles. There are no food safety risks with the consumption of this beer. A majority of the beer in question is distributed only in our home state of Utah. Select varieties were shipped out of Utah, however less than 10% of all affected beer has made it to retail shelves. Our wholesaler partners have received instructions from the brewery to cease distribution and destroy all cases of beer on this list. 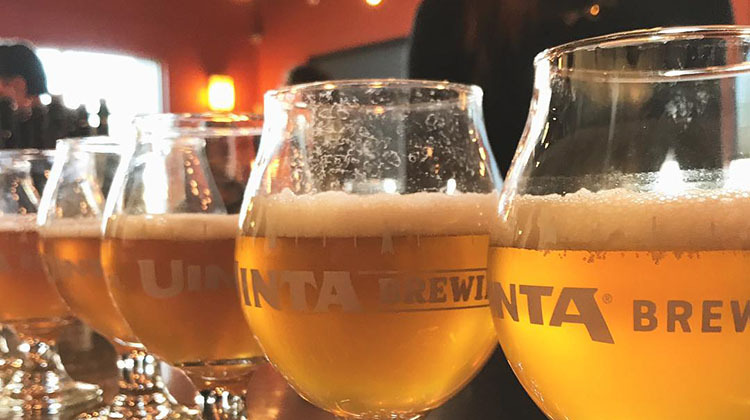 We take quality and safety very seriously at Uinta, so we are issuing this voluntary recall out of an abundance of caution. If you are in possession of a 6- or 12-pack included in the recall, we are offering a refund of your purchase. Click on the red button above and fill out the form completely; if you have it, include a photograph of your receipt, along with a photograph of the Best Before date printed on the outer packaging. A member of our team will review your request and confirm within three days; once confirmed, you should receive your refund within two-to-four weeks. Please wait to receive confirmation of your refund eligibility before safely disposing of the beer by enclosing the package in a bag and placing in a trash container. 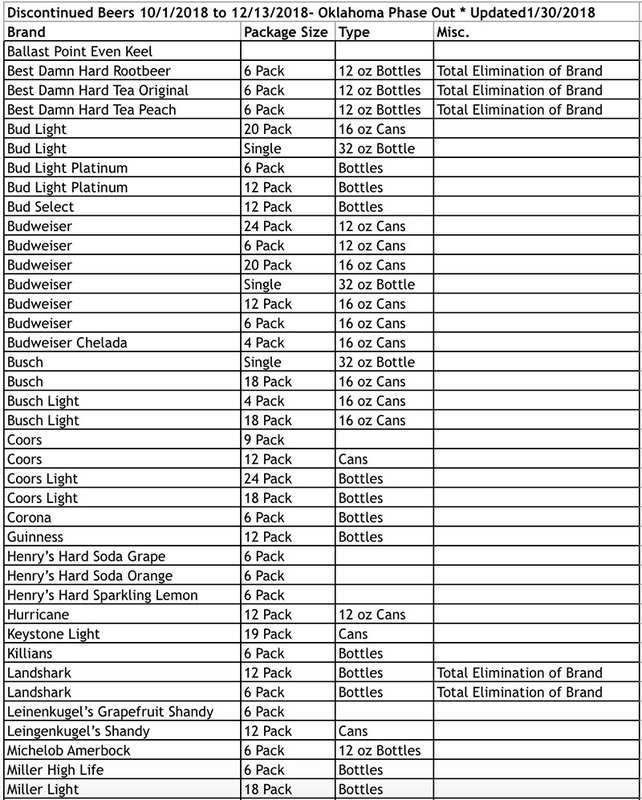 Only brands and packages included in the list below are eligible for the refund; no other beers were affected. I won’t add to the hand wringing over the whyfores and wherenots about Utah’s liquor laws but it looks like change might finally be coming to Utah’s notorious 3.2 law. Reported by Fox13 is a new legislative proposal that seeks to move Utah’s (non liquor store) alcohol limit from 3.2 to 4.8%. Of course this is all by weight though, because for some reason everyone still loves to talk in this anachronistic terminology that’s both confusing and imprecise. In real money, this means the limit on the alcohol you can buy in grocery and convenience stores would grow from 4% (BY VOLUME y’all) to 6%. Obvious benefits of such a move include stronger brews more readily available, but also more general product selection. A move to 6% ABV would allow whole new classes of beers not to mention certain hard ciders to be more regularly available. Moreover, this would all be lovingly chilled once in the hands of grocers and convenience stores. 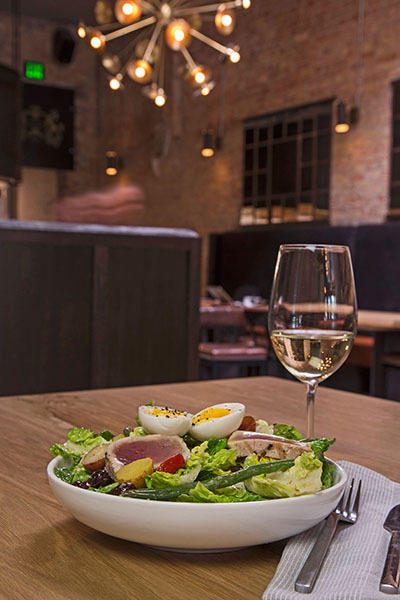 Blind Dog – Enjoy award-winning sushi, seafood and steaks while watching the game at Blind Dog. 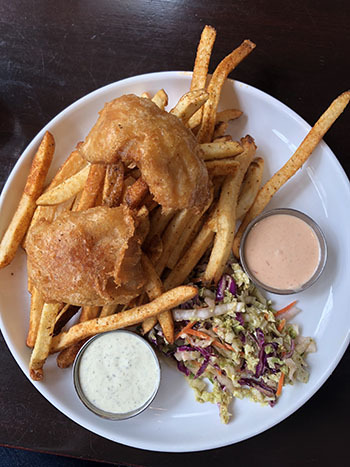 This Park City mainstay will be serving its raved-about regular menu on game day, featuring sustainably sourced, creatively crafted and delicious fare. Copper Common – Any pizza and ten wings to go, just $20. Copper Kitchen – 36 wings, $48. Download Uber Eats and select from a range of businesses offering specials for the big day. Everyone from McDonald’s to small local businesses have something special cooking, everything from free delivery to specials for the day. Powder @Waldorf Astoria – This contemporary eatery serving New American fare and cocktails will be serving its regular menu on Super Bowl Sunday. Red Rock Brewing SLC – Will be adding a 75″ big screen in the restaurant so you can enjoy the big game alongside their award winning beers and extensive bar food menu. Ruth’s Chris – Keep an eye on the game while digging into perfectly prepared USDA prime beef at this steakhouse staple. Ruth’s Chris will be serving its regular menu while showing the game (with no sound) on the bar’s two televisions. 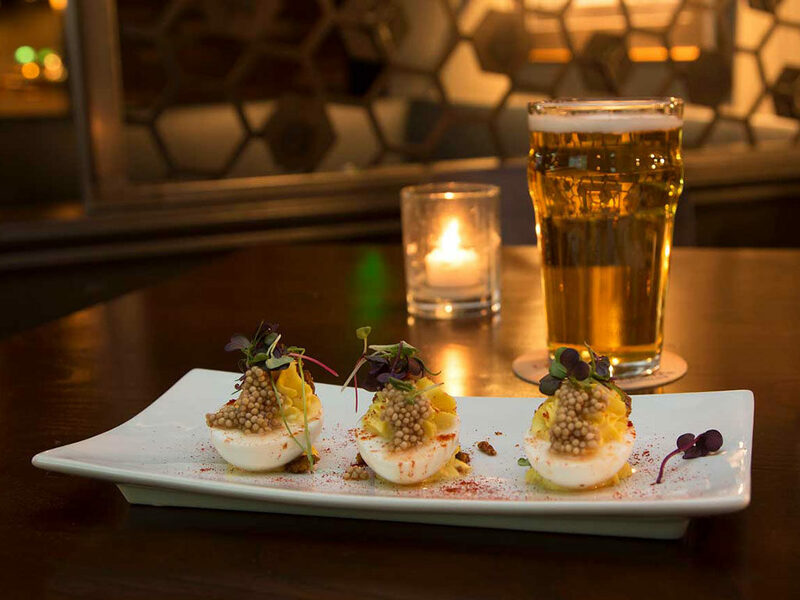 Versante Hearth And Bar – This locals’ spot for pizza, pasta and craft beer is serving up a veritable playbook of Super Bowl classics. Enjoy selections such as hot wing pizza with Frank’s Hot Sauce, bleu cheese and ranch; chicken wings with choice of mole, house barbecue or hot sauce; “pork wing” spare ribs featuring choice of mole, house barbecue or hot sauce, and street corn grilled on the cobb and seasoned with parmesan and aioli. On tap will be a section of drafts including Proper Salted Caramel Porter, Proper Beckermans Lager, Uinta Rotational and Bohemian Sir Veza. Zilla’s – Have an all you can eat buffet in their lounge offering wings, tots, burgers, tenders, dips and much more. Cost is $20. 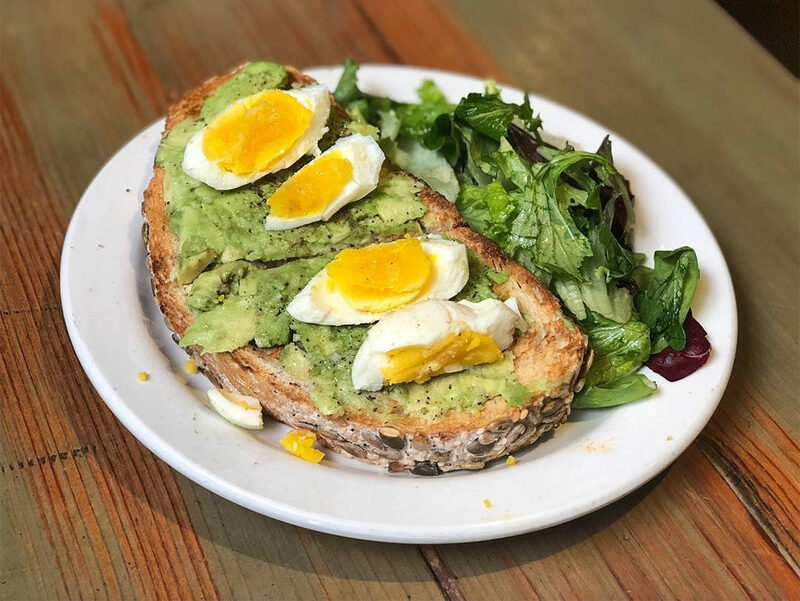 Want to discuss this post or the SLC food scene in general? Check out our Facebook group and come talk with other likeminded SLC foodies. 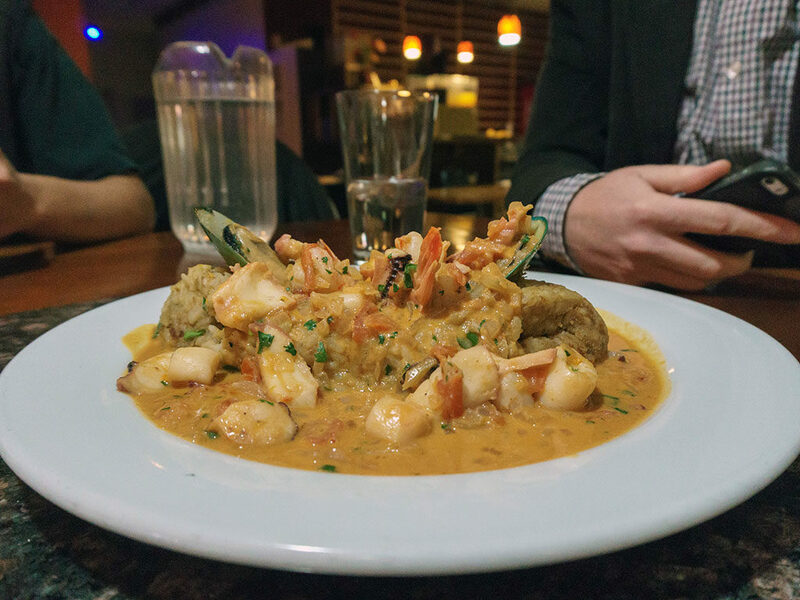 For first class seafood and shellfish in Salt Lake City, check out our sponsor Current Fish And Oyster.